In response to requests to provide a central location with easy access to a variety of information, counseling services are now available at the Mayudama Space on each campus. Please feel free to visit at your convenience. Senior researchers (mentors) offer counseling to young researchers and graduate students (mentees). Topics include how to get started after assuming a new post, how to achieve balance between research and life events, how to maintain employment, and how to shape a career. The counseling and mentor introductions are arranged through the Gender Equality Office. * Counseling is available to young researchers and graduate students at Gunma University. * Counseling is provided by senior researchers (recipients can be introduced to male or female mentors). * Applications need to be filed in advance (it may take some time to make arrangements). For more information, contact the Gender Equality Office at Aramaki Campus (extension 7146) or send e-mail inquiries to kyodo-sankaku@jimu.gunma-u.ac.jp. A work-life balance advisor with expertise in nursery school and after-school child care offers counseling on how to achieve balance between work and family. The advisor can assist you with any questions, concerns, or issues related to caring for children or family, such as slight problems in day-to-day or family life, pregnancy, having and raising children, or nursing care. The advisor is on hand at Mayudama Space, ready to help you find solutions. How to balance family life with research, work, school, etc. * Counseling is available to teachers and students at Gunma University. * Counseling is provided by Harumi Nakamura (work-life balance advisor). A coordinator with a license to practice social work offers counseling on how to use the support system to assist with work-life balance and life events (caring for or tending to family members, getting married, having and raising children, etc.). Topics include how to utilize the resources available through the gender equality operations, university system, and support aimed at promoting female participation at the university. 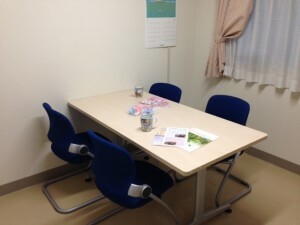 * Counseling is provided by Megumi Nagayasu (Full-time Instructor/Coordinator at Gender Equality Office). * Consultation hours are available as needed (on weekdays, the counselor is stationed at the Gender Equality Office at Aramaki Campus). * Telephone and e-mail inquiries are accepted. For more information, contact the Gender Equality Office (extension 7146) or send e-mail to kyodo-sankaku@jimu.gunma-u.ac.jp.